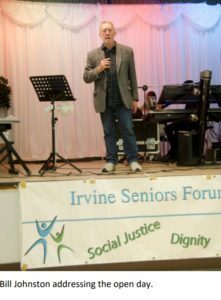 We asked for funding to consult Irvine Seniors on the issues that affect them, we also wanted to engage all of our members in this activity. The activity was entitled, Cake and a Blether. Initially we had targeted 3 events but due to circumstances this turned into 6 meetings. We supplied the tea, coffee and cakes and in return engaged the participants in conversation and helped them fill in our questionnaire about their issues. Overall we had contact with over 170 senior citizens in different venues an average of 7 members attending each venue. we also recruited some new members to our group . The questionnaire will be analyzed and the informationUse to raise the issues of concern. The main issue raised was, waiting times at doctors surgeries. We asked for funding to hold an open day, provide some lunch and entertainment. 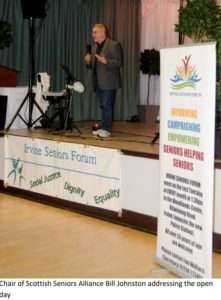 from, Fire service, Solicitors for older people , Thistle care, NAC care, WASPI , Hearing loss Scotland, Age Scotland, Clasps, Dementia Scotland, Macular Degeneration, Irvine Seniors Forum, Energy home services, Ayrshire independent living, Coastal watch, Maritime Museum and My bus, there were a few services who sent in there apologise. speakers included Aileen Campbell Minister for Public health and sport. There will be other speakers. 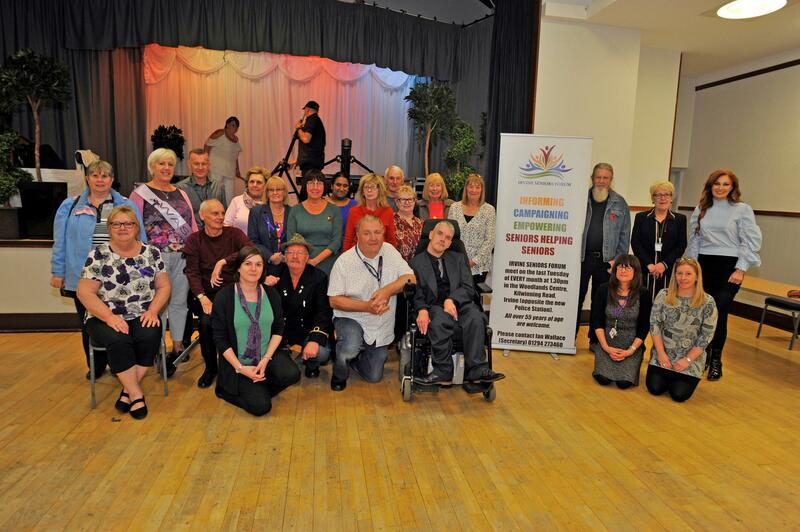 GSK Local Ayrshire community awards. We were successful in applying for funding to produce a short promotional video and a web site . This will be completed by the end of September.